Disturbances to your electrical power supply can be very costly. Static Power offers a variety of reliable battery, UPS and electrical monitoring services to assist in ensuring your power quality for your critical electrical system. We have strategic partnerships with the best of the monitoring service equipment manufacturers that allow us to offer customized solutions for your specific power system application. Our experienced engineers and technicians can recommend and install a reliable power monitoring system to meet your specific needs, whatever the application. Static Power also has the ability to provide regular testing and maintenance as necessary. 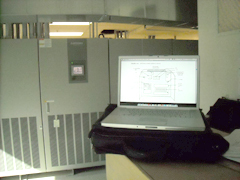 Contact us today for a personalized quote on commercial power monitoring.